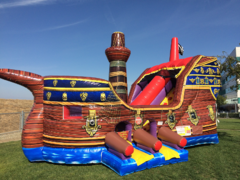 Bringing Major Fun to Your Event! All Around Bounce has created a special place for you to check out the latest cool stuff we have to offer. 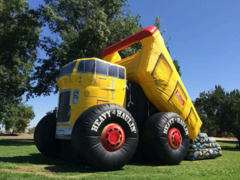 These inflatable attractions are big, bold, and colorful and you can bet they'll be the centerpiece attraction at any event. 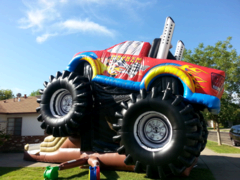 Attractions like the rockwall slide combos, the Spanish Galleon and our Monster Trucks are truly one of a kind and a All Around Bounce specialty. Browse the selections below and click on the title or image for more information and to make a reservation. Copyright © All Around Bounce House Company. All rights reserved.